Have you ever dreamed of coming face to face with the massive toothy grin of a hammerhead shark? These seemingly prehistoric creatures are intelligent and aggressive hunters, but are rarely any danger to humans. There are places all over the world where you can dive with hammerheads, some of the most fascinating sharks alive. Accessible and world renowned, the Florida Keys are an excellent jumping off point for your Hammerhead diving experience. There are several species of hammerheads in the warm waters that surround the keys, some of which can reach 1,000 lbs (450 kg). In addition to the many hammerheads that patrol the shallows there are bull sharks, tiger sharks, lemon sharks, mako sharks, black tip sharks, and reef sharks. The hammerheads often feed on stingray and fish, and you may even get lucky enough to watch them stalking their prey. Occasionally, these fantastic fish throng in their hundreds, making for an unforgettable and impressive display. Scalloped Hammerheads prowl the waters around Lahaina, a western town on the shores of Maui. The channels that run between the islands of Maui, Lanai, and Moloka’i are ideal feeding grounds for Hammerheads and other large marine life. The two dives sites that are particularly popular are Fish Rain and Fish Bowl. Fish Rain is a drift dive with a moderately strong current, and ranges in depth from 70-130 ft (20-40 m). 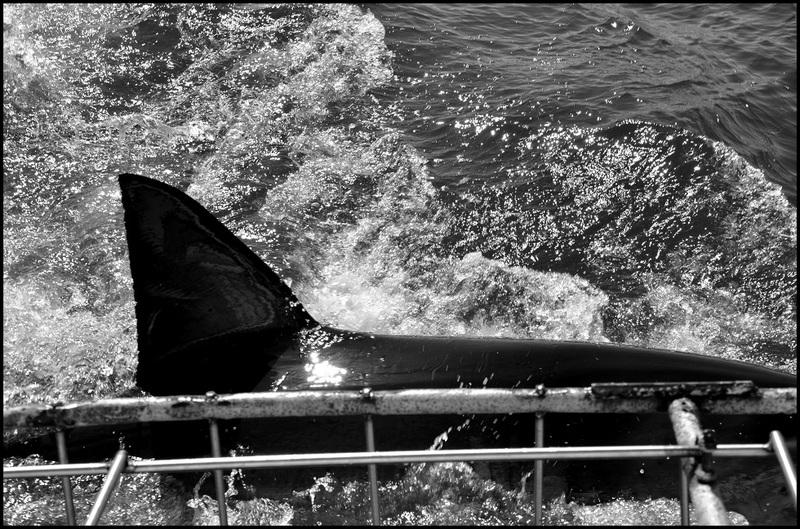 While idling through the water you have a great chance to see dolphins, ahi tuna, and other large sharks. Fish Bowl is slightly shallower, ranging from 50-90 ft (15-27 m). Though it is also a drift dive, your dive operators may choose to drop anchor alongside the bowl. Looking out over the edge you can spot plenty of reef sharks, octopi, and hammerheads galore. As if floating through a dream world, Darwin Island is a unique dive site where you can get up close with hammerhead sharks. Found in the northwest corner of the Galapagos archipelago, Darwin Island is the remnants of an ancient volcano, and is found 563 mi (906 km) off the western shore of Ecuador. Though hammerheads may travel solo near the shore, your chance to see massive schools are relegated to deeper water. Visit from January to May for your best chance to see both hammerheads and massive manta rays. June to November gives you the greatest opportunity to swim with whale sharks, so it may be in your best interest to enjoy an extended vacation on these magical islands. Not far off the eastern shore of Miami, FL, Bimini is one of the only places in the world where you can cage dive with these incredible creatures. 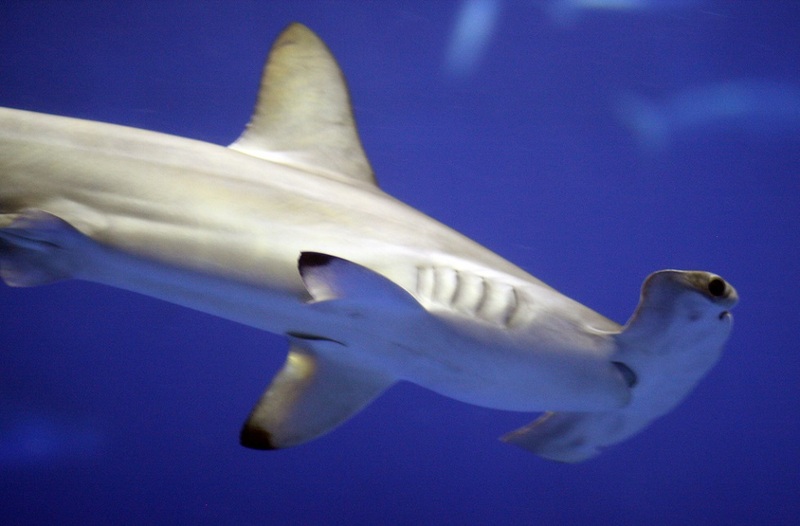 Originally a tiger shark cage dive, hammerhead sharks will often make an appearance. 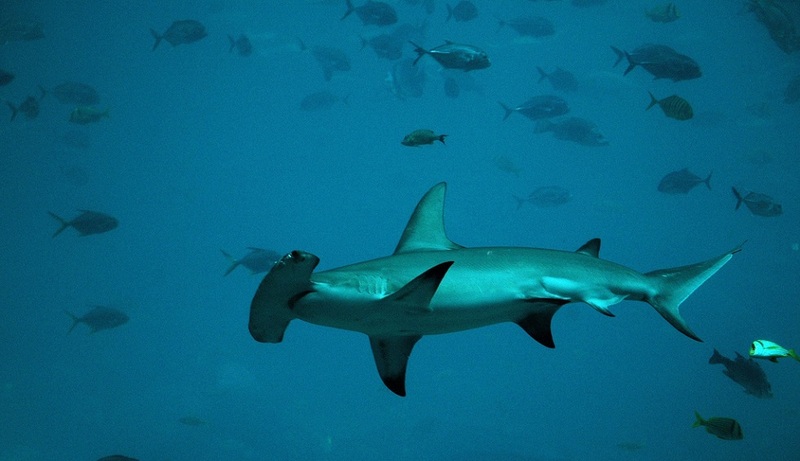 Certain dive shops offer expeditions to free dive with hammerheads, who swim by the islands every February. Massive sharks arrive in their hundreds, and though these fish are usually shy and apprehensive, the Divemasters here know the tricks to get them to come close enough to touch. Though sharks are given a bad reputation, your experience in the Bahamas will turn around any anxieties you may have about getting in the water with these fascinating animals. Bull sharks, reef sharks, and blacknose sharks may also make an appearance on your dive. 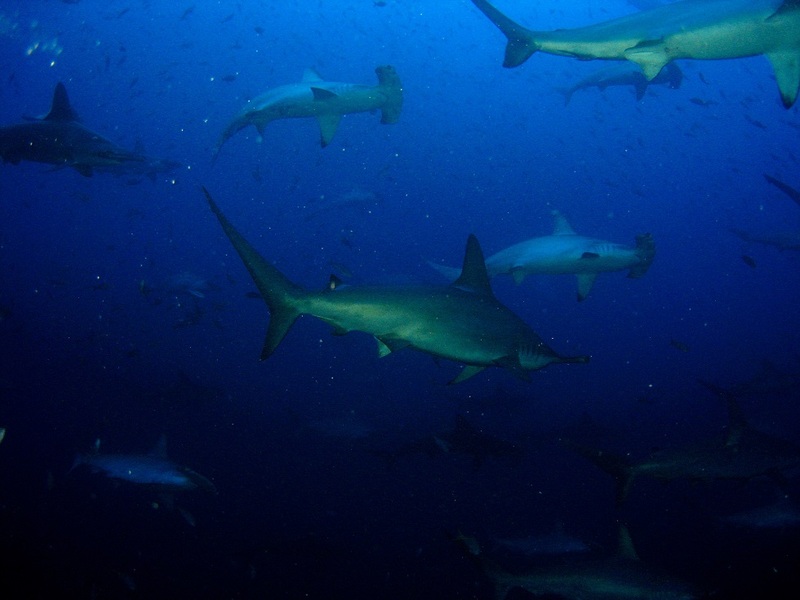 Cocos Island is widely appreciated as the best place to dive with the mighty hammerhead. Found 342 mi (550 km) from the mainland, Cocos Island is completely uninhabited except for a National Park ranger station. Diving is the activity of choice on this primordial island, whose rocks jut high out of the Pacific, the waves crashing on its stony shores. The best sites for hammerhead sightings are Bajo Alcone and Punta Maria. 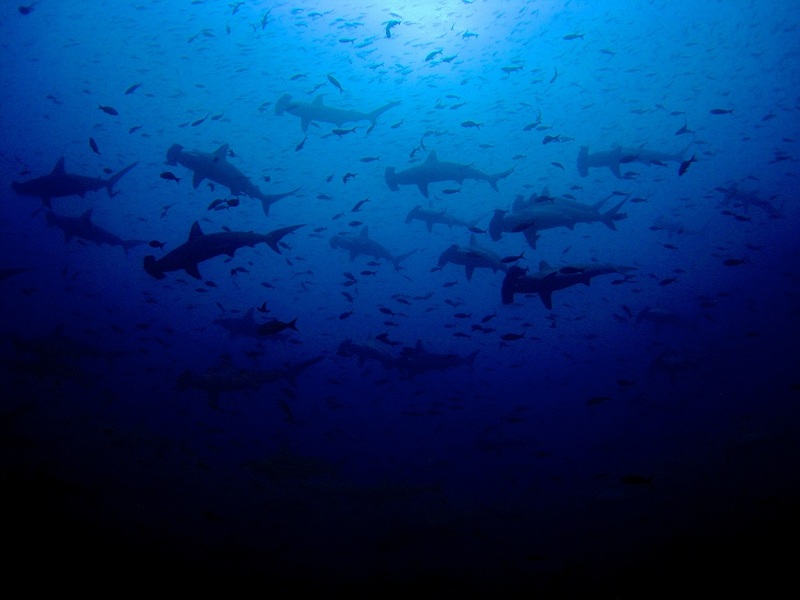 Schools of sharks swarm around the island, whose perimeter is surrounded by deep crevasses and outcroppings. Be aware, strong currents flow past the rocky formation, making for difficult yet rewarding diving. Because of the cold currents and abundance of sharks, only highly experienced divers are recommended to take the plunge. Put your trepidation behind you: hammerhead sharks are gentle, curious creatures, and diving with them will be the trip of a lifetime. Get a glimpse of these gigantic fish and watch them in their natural habitat, hunting and exploring. Head to one of these exciting destinations to get up close and personal with hammerhead sharks, creatures that have been patrolling the deep for thousands of years.